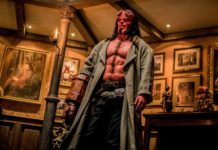 A third Conan movie starring Arnold Schwarzenegger has been an on again, off again rumor for many years, although according to Movieweb, Arnold is still for it. Movieweb referenced a video posted by Arnold extolling Marvel’s recently released Conan comic book. The video starts on a picture of an older Conan seated on a throne-like chair with a sword leaning against it. Arnold starts saying, “This is a fantastic comic book. Look at this. Conan the Conqueror. Wow.” The video then pulls back to reveal Arnold Schwarzenegger holding the comic and sitting on a similar throne-like chair with a sword leaning against it. Arnold continues, “This almost looks like me…But this one definitely looks like me. (flips to picture of Conan the Barbarian) It’s a movie I’ve wanted to do for a long time. Let’s do it.” The rumored title for the third Conan movie has been Legend of Conan, although Arnold referred to a Conan the Conqueror sequel in a 2016 interview. The original Conan the Barbarian movie was directed and co-written by John Milius and released in 1982. Rated R, the film brought Schwarzenegger worldwide recognition for the title role, although it also earned him a Razzie Award nomination for worst actor. The film currently has a 70% rating on Rotten Tomatoes. A less violent sequel Conan the Destroyer was released in 1984, but an expected third movie was talked about but never materialized. There was a 2011 Conan the Barbarian movie starring Jason Momoa of Aquaman fame, which was not related to the previous Arnold Schwarzenegger movies. 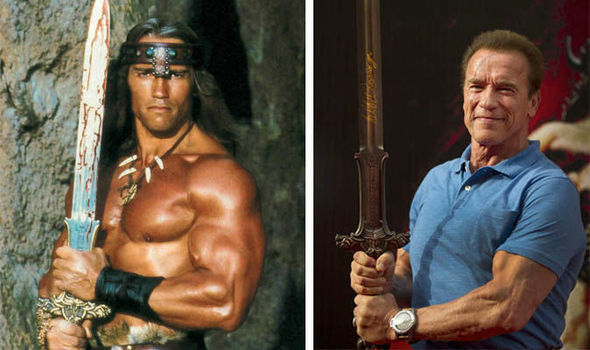 Back in 2015 Arnold told Nerd Report what he would like to see in the sequel: “I was hoping that the idea of Conan having been king for a long time, then just threw it all away and went into retirement and went off into the mountains…That whole idea always appealed to me. Then of course he gets asked back because of some hideous and unbelievable things that are happening to the kingdom. So that’s when the battle begins again.” A script co-written by Will Beall and Chris Morgan was developed that would be reminiscent of Clint Eastwood’s Unbreakable. In an interview with Collider Chris Morgan discussed that script and said, “So our idea was to literally pick that movie up but 30 years later and kind of do a version of Unforgiven, where there’s something going on and Conan is not the strongest guy he used to be, he’s not the legend he used to be; he’s an old, broken guy. And this thing comes down to where now he’s got to find a reason to go on and find a different way to fight other than just with brute strength. It was a great movie that just gave validation to even at the end of someone’s life there’s real value to them.” The third film would ignore the second movie and take up where Conan the Barbarian left off. In 2016 Will Beall indicated the new movie would have an opening scene like the end scene of the first movie. We would see King Conan seated on a throne with his hand on his chin. But by 2017 it seemed Legend of Conan would not get made. When asked for an update on the move in an interview with Entertainment Weekly in 2017, Chris Morgan said, “Not so much. That’s kind of a longer story. At the end of the day, the studio decided that they weren’t gonna make that. I gotta say, it’s honestly a heartbreak. I love that first movie so much, so much, it’s one of my favorite movies…Ultimately, the budget was big, the studio was not really sure of the title, and the relevance in the marketplace. They ended up letting it go.” Although when Schwarzenegger was asked about it a few months later he said that as far as he’s concerned, the movie is still happening. That optimism still seems to be present in his recently posted video. With his return in Terminator 6 I am sure a number of Conan fans are hoping a return of King Conan may soon follow. 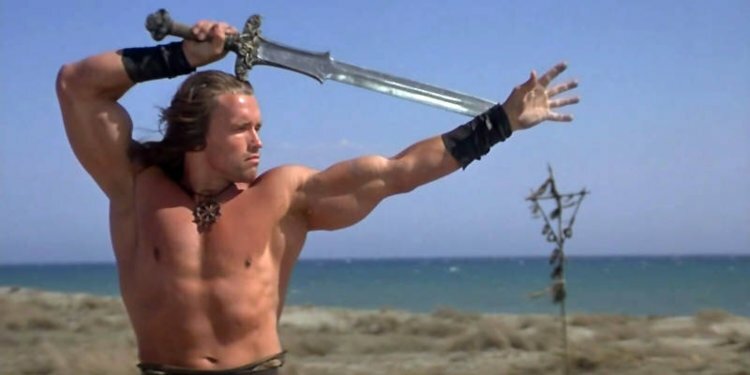 Would you want to see another Conan movie starring Arnold? Tell us in the comments!